“Bringing more green into people’s lives”—that is the mission of garden mail-order specialist Bakker.com. In just a few short months, this conventional mail-order business became an online provider for gardening enthusiasts across Europe. How? Using the Intershop e-commerce platform. Bakker is now leveraging that platform to pursue its goal of becoming Europe’s leading multi-channel garden company. With around 3.4 million orders a year—and up to 35,000 a day at peak times—Bakker is Europe’s largest garden specialist. Bakker stocks around 4,000 products per season, shipping them to 19 European countries. With more than 180 packaging options available, every item in the huge product range can be shipped safely and securely to customers. Digitally transform Bakker from a conventional mail-order business into Europe’s largest online vendor of flowers and plants. 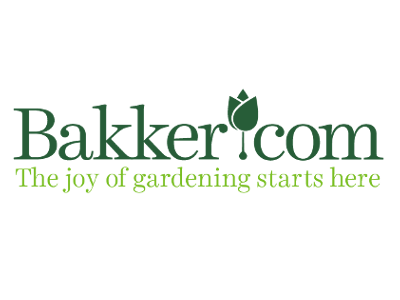 Create an exciting online experience that offers lots of practical tips and ideas and presents Bakker.com as a valuable resource for gardeners. Provide a powerful and stable e-commerce solution with centralized management of all of Bakker’s country-specific storefronts. Intershop Commerce Management 7 as a comprehensive and scalable e-commerce platform for the Bakker online store. Personalized shopping experience based on purchase history thanks to on-site search and visual merchandizing solution from Fredhopper. Cloud-based e-commerce platform (Amazon Web Services) with standard integration of payment provider (Ingenico). Redesigning the website and optimizing it for mobile devices (e.g., smartphones) has significantly increased the average number of items per order. Where Bakker used to rely on direct marketing, it now acquires most of its new customers through tailored online content—also on social media platforms, such as Facebook. Approximately 1,000 new content pages per language, 800 new images, and more than 30 videos with gardening tips: top-class content makes Bakker.com a rewarding user experience. We really wanted to be able to make changes easily and rapidly via the Intershop content management system, both centrally and regionally. We have to deal with a lot of botanical legislation, which often means we need to amend content.